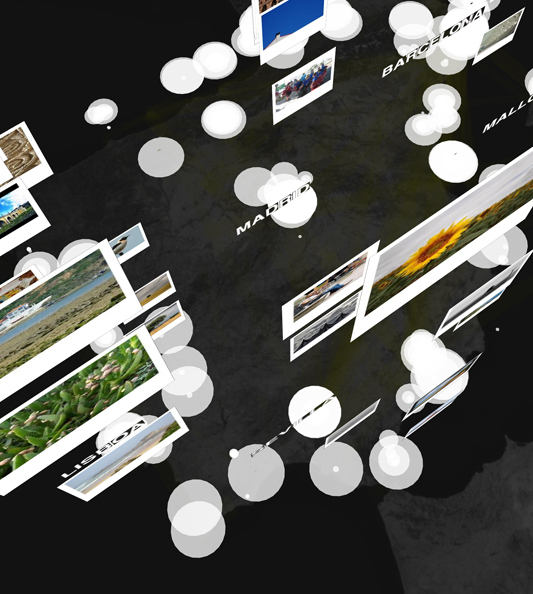 Redrawing the map of Great Britain from a network of human interactions. Do regional boundaries defined by governments respect the more natural ways that people interact across space? This paper proposes a novel, fine-grained approach to regional delineation, based on analyzing networks of billions of individual human transactions. Given a geographical area and some measure of the strength of links between its inhabitants, we show how to partition the area into smaller, non-overlapping regions while minimizing the disruption to each person’s links. We tested our method on the largest non-Internet human network, inferred from a large telecommunications database in Great Britain. Our partitioning algorithm yields geographically cohesive regions that correspond remarkably well with administrative regions, while unveiling unexpected spatial structures that had previously only been hypothesized in the literature. We also quantify the effects of partitioning, showing for instance that the effects of a possible secession of Wales from Great Britain would be twice as disruptive for the human network than that of Scotland. Human Mobility Prediction based on Individual and Collective Geographical Preferences. Understanding and predicting human mobility is a crucial component of transportation planning and management. In this paper we propose a new model to predict the location of a person over time based on individual and collective behaviors. The model is based on the person's past trajectory and the geographical features of the area where the collectivity moves, both in terms of land use, points of interests and distance of trips. Transportation Mode Inference from Anonymized and Aggregated Mobile Phone Call Detail Records. Transportation mode inference is an important research direction and has many applications. This paper proposes a novel method to infer transportation mode based on coarse-grained call detail records. The method allows estimating the transportation mode share from a given origin to a given destination, looking also at how the share changes over time. Activity-Aware Map: Identifying Human Daily Activity Pattern Using Mobile Phone Data. In this paper, we characterize mobility in a proﬁle- based space (activity-aware map ) that describes most probable activity associated with a speciﬁc area of space. This, in turn, allows us to capture the individual daily activity pattern and analyze the correlations among diﬀerent people’s work area’s proﬁle. A System for Real-Time Monitoring of Urban Mobility. This paper describes a new real-time urban monitoring system based on the monitoring of mobile cellular networks, buses and taxis, to provide information about urban mobility in real time, ranging from traffic conditions to the movements of pedestrians. It marks the unprecedented monitoring of a large urban area in real time using a variety of sensing systems, and will hopefully open the way to a new paradigm of understanding and optimizing urban dynamics. Analyzing mobility and special events. This paper deals with the analysis of crowd mobility during special events. We analyze nearly one million cell-phone traces and associate their destinations with social events. We show that the origins of people attending an event are strongly correlated to the type of event. This finding has significant implications for city management, since the knowledge of additive flows can be critical for decision-making and resource allocation when managing special events and mitigating congestion. A research agenda for understanding the city. This paper proposes a research agenda to develop a holistic framework for studying urban traces and profiling urban processes and their dynamics. The aim of this data-mining framework is to enable a better understanding of how cities function and thus assist in devising more effective urban policies. Digital urban modeling and simulation. 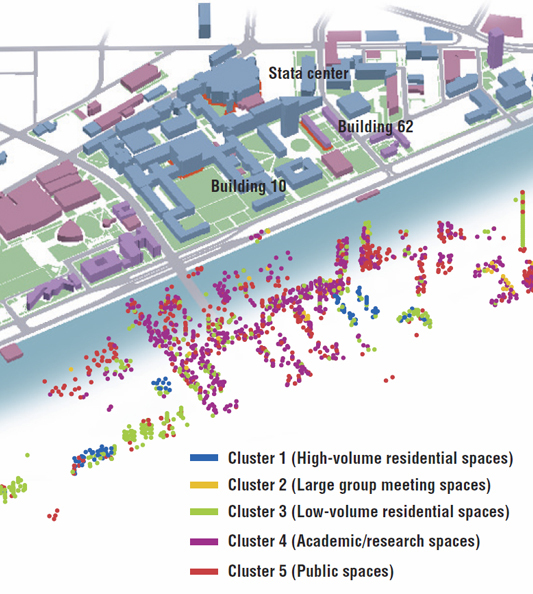 This chapter discussed the design process, visualization projects, and interaction projects that considered how crowds behave in urban areas, how interact with this crowds, and how we can connect each individual with the community. Obama | One People showed from a local and an international perspective that the 2009 presidential inauguration was a multi-day event and that drew people from all over the US and the world. Visualizations such as Project Obama | One People are extremely valuable for those who manage and act within urban space. In this paper we propose a tool to explore human movement dynamics in a metropolitan area in the United States. 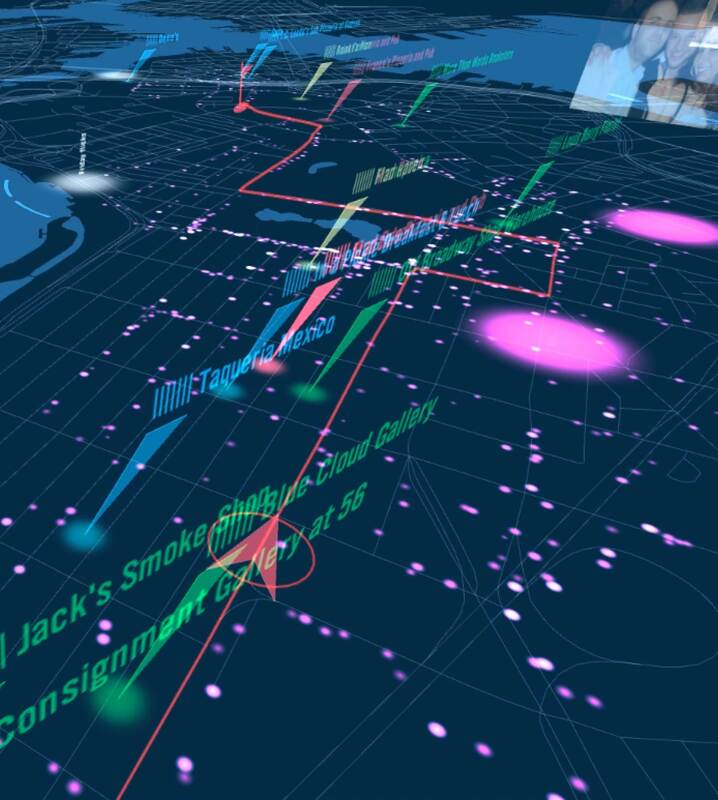 By analyzing a mass of individual cell phone traces, we build a Human-City Interaction System for understanding urban mobility patterns at different user-controlled temporal and geographic scales. 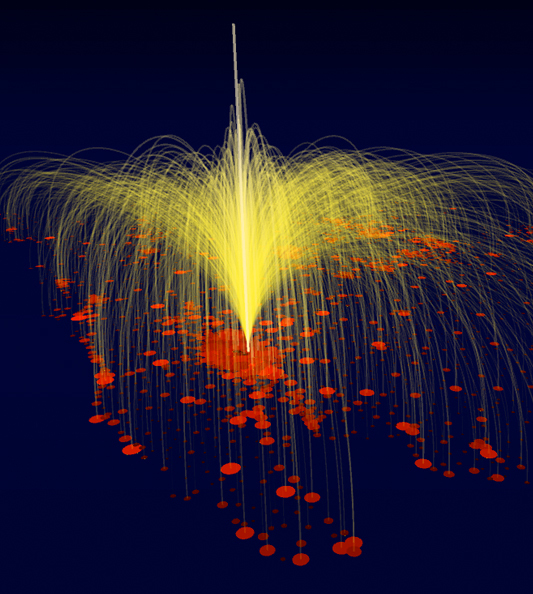 We solve the problems that are found in available tools for spatio-temporal analysis, by allowing seamless manipulability and introducing a simultaneous multi-scale visualization of individual and aggregate flows. Our tool is built to support the exploration and discovery of urban mobility patterns and the daily interactions of millions of people. Moreover, we implement an intelligent algorithm to evaluate the level of homophily people’s mobility as they travel from place to place. Segmenting Space through Digital Signatures. In the past two decades, wireless networks have permeated our public and private spaces, their usage shaped by the built environment’s impact on user activity in the vicinity of transceivers. So, unlike unidirectional radio and television infrastructure, bidirectional wireless data networks can act as probes, propagating data about their users’ environment back to a network observer. This fundamental difference allows us to use the volume, timing, and distribution of packets across networks to study the “bricks and mortar” of physical space. 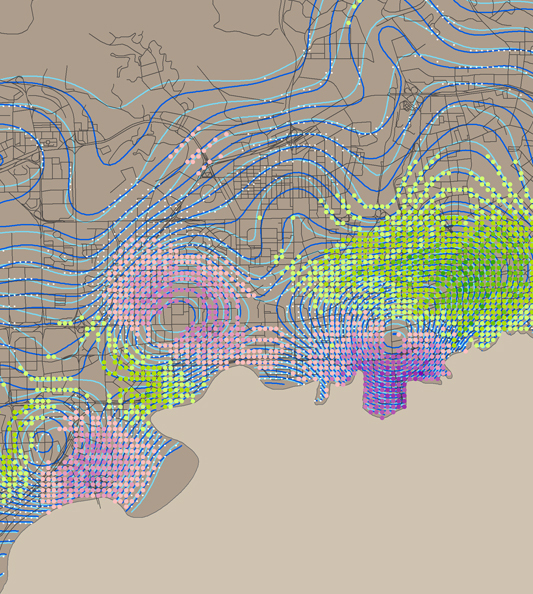 Analyzing cities using the space-time structure of the mobile phone network. In this paper we attempt to connect telecoms usage data from Telecom Italia Mobile (TIM) to a geography of human activity derived from data on commercial premises advertised through Pagine Gialle, the Italian `Yellow Pages'. We employ eigendecompositionöa process to identify and extract recurring patterns of mobile phone usage. Cellular Census: Explorations in Urban Data Collection. Cellular networks hold out the promise of a continuously updated locational data stream for a very large sample of a city's residents and visitors. As a complement to traditional methods of data collection to support planning and policy making, data generated as a byproduct of network operations can provide us with a dynamic view of urban activity, greatly augmenting our understanding of the urban environment at low cost and with little latency. Space and time-dependent bus accessibility: a case study in Rome. The study of accessibility in the city has always been appealing for urban planners and public transportation agencies. With the availability of tracking devices on transit vehicles, it is possible to evaluate such accessibility very accurately, and derive useful performance measures. In this paper, we propose a method to analyze and measure the accessibility of a city using GPS bus traces. 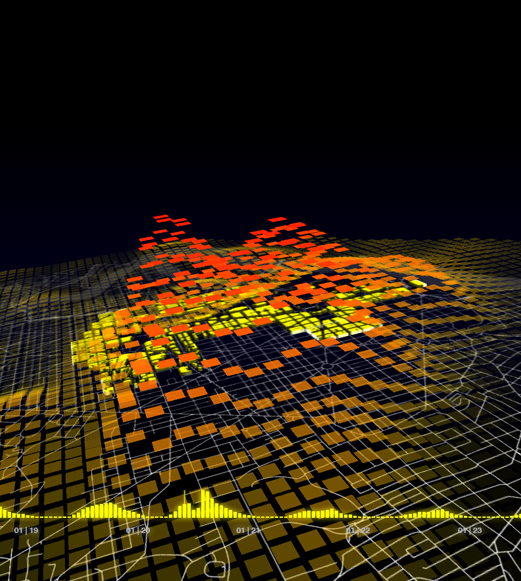 The process involves the application of recent results in spatio-temporal data mining in order to detect bus lines and bus stops from the traces dataset. Then an agent-based algorithm is used to simulate human mobility in the network, in order to study how the accessibility of the city changes over time when starting from different locations in the city. 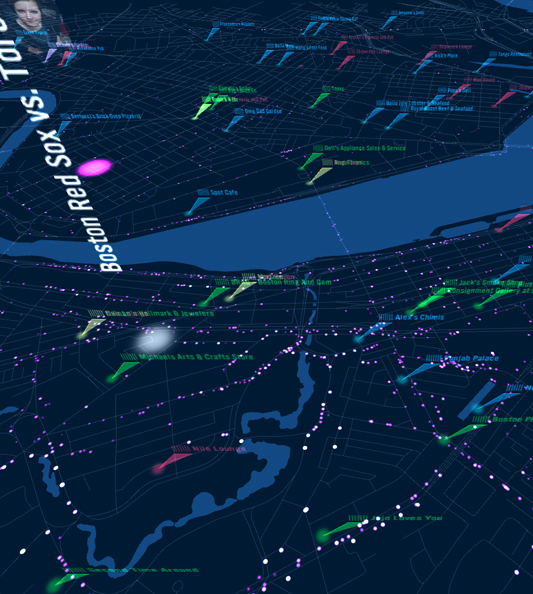 Revealing Taxi Driver’s Mobility Intelligence through His Trace. This study develops a methodology for the analysis of taxi drivers’ operation behavior in a real urban environment. The research objective is to spatially and temporally quantify, visualize, and examine taxi drivers’ operational behavior and skill (as measured by income), which the authors call ‘mobility intelligence’. For the first time, taxi drivers’ different operation strategies were systematically analyzed through their daily activity traces. A gravity model for inter-city telephone communication networks. In this paper we consider a network of mobile phone customers aggregated by geographical proximity. We analyze the anonymous communications patterns of 2.5 million customers of a Belgian mobile phone operator. Grouping customers by billing address, we obtain a two-layer network. The lower layer – the microscopic network - is built from individual human-to-human communications. The upper layer - the macroscopic network - is built from communications between 571 cities in Belgium. We show that inter-city communication intensity is characterized by a gravity model: the communication intensity between two cities is proportional to the product of the city population sizes divided by the square of their distance. Uncovering Tourism Trends with User-Generated Content. In recent years, the large deployment of mobile devices has led to a massive increase in the volume of records of where people have been and when they were there. The analysis of these spatio-temporal data can supply high-level human behavior information valuable to social scientists, urban planners and local authorities. This paper explores this hypothesis by reporting on new information revealed by this pervasive user-generated content. We present novel techniques, methods and tools we have been developing to explore the significance of these new types of data. In a case study of Rome, Italy, we showcase the ability to uncover the presence and movements of tourists from geo-referenced photos they explicitly make public, as well as from network data implicitly generated by users of mobile phones.